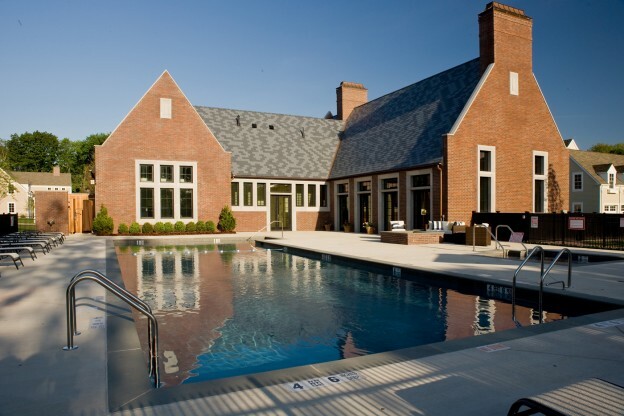 The Clubhouse at Palmer Hill fulfills the needs of the community by providing ample space for many activities. Residents of the community can enjoy the resort like pool and spa, with a terrace built for entertaining. For rainy days, there is a large clubroom with catering kitchen. A resident could get down to work with a fully equipped business center or work out with the state-of-the-art fitness center and yoga room. This entry was posted in Hospitality/Recreation/Resort on October 20, 2014 by swolock.